Students complete an online activities to review trophic levels and feeding relationships in an African savannah food webs. There is a card activity to complete using terms such as heterotroph, carnivore, secondary consumer which then becomes are resource for building a food web. 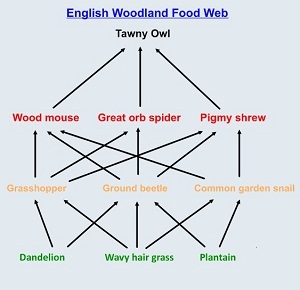 A final link from food webs to energy flow is available in an extension activity.What do the arrows on a food web diagram represent?